Immagini Stock - Carloforte, Sardinia, Italy - May 08, 2014: Typical Canned Tuna Products On The Island Of San Pietro In Sardinia, Italy. Image 105180628. Archivio Fotografico - Carloforte, Sardinia, Italy - May 08, 2014: Typical canned tuna products on the island of San Pietro in Sardinia, Italy. 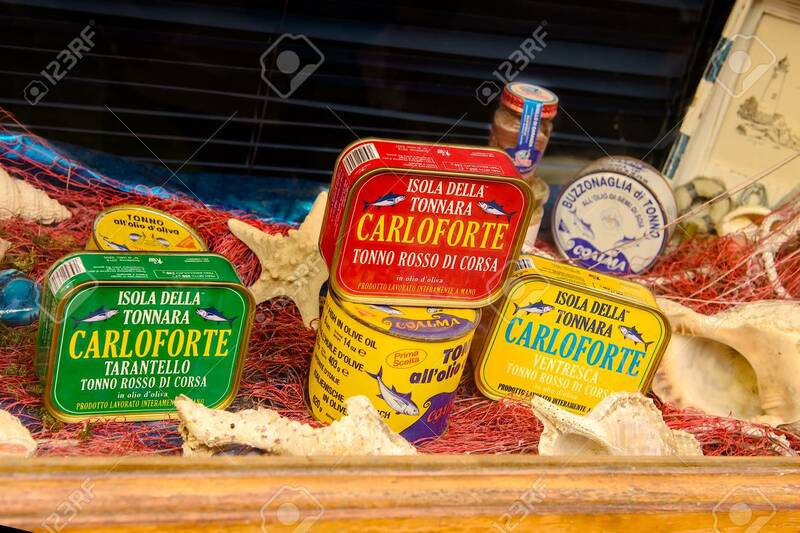 Carloforte, Sardinia, Italy - May 08, 2014: Typical canned tuna products on the island of San Pietro in Sardinia, Italy.